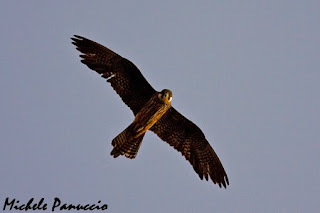 On the photographic blog of Michele Panuccio a report on the Eleonora's falcon has been posted. To see it click on the picture below. 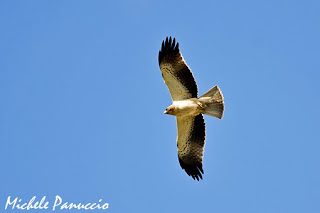 We are making a fieldwork on the raptors wintering in Sicily (Southern Italy) using line transects and the Distance Sampling method. Up to now the commonest species are kestrel and common buzzard but we observed also some Booted eagles. We took the picture below this morning close to the Zingaro Natural Reserve in Western Sicily. 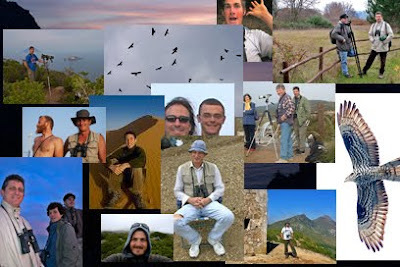 Happy new year with MEDRAPTORS staff!